Saturday, July 9th, 2016: WesterCon, M&M's and Measuring Success? I have migrated this Diary page from a sub-page of my site to a blog page on Blogger in order to make it more convenient to update more frequently, and to make it possible for people to leave comments. 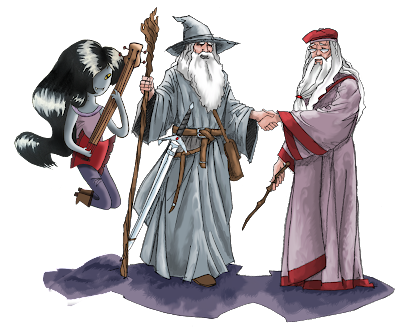 I looked into a number of different blogging possibilities, but wound up sticking with Blogger because I already use it for other writing things and I am familiar with it and how it works. I'd love to hear what you all use for blogging and why you chose what you chose. Unless you just do it yourself in HTML (which is how I know I'm supposed to be doing it, but I'm too lazy or harassed or something to figure it out) so no need to tell me. 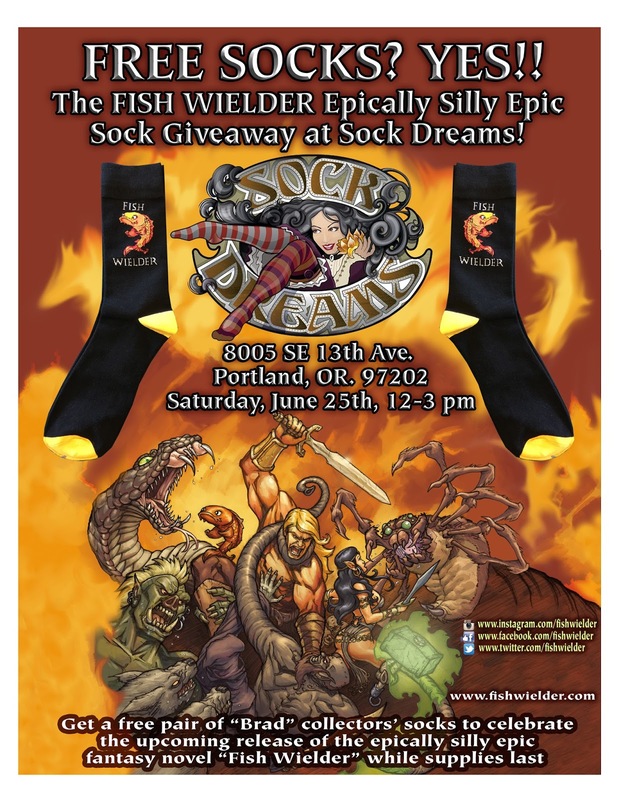 In case I haven't ever mentioned it, I created the Fish Wielder website with Adobe DreamWeaver. 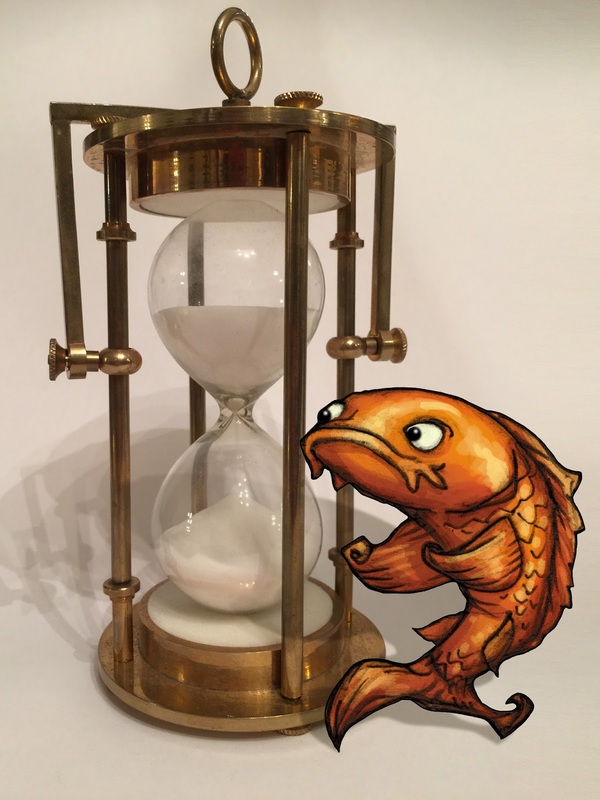 I've found it to be user-friendly enough that I've been able to get the site up and looking generally acceptable without ever having read the manual or take any formal training. That's probably not the best approach to creating a website, but it fits with my general "do it yourself, even if you're kind of half-assed about it" model of getting things done. It means I'm frequently scratching my head about how to do something (like enable people to leave comments) or to figure out why something isn't working right (where did that page go? ), but that's what YouTube tutorial videos were designed to address, right?! But enough about that. Lots of things have happened since the last update. For example, the book is finally available for pre-order! That was a big milestone that was much delayed. Fish Wielder is now available for pre-order on Amazon, Barnes & Noble, Kobo and iBooks. The pre-order thing is kind of interesting and frustrating. Paying attention to my pre-order sales rank is a little like what I imaging being addicted to gambling or drugs might be like. There's enough intermittent positive reward involved in checking pre-order stats that I keep doing it (sometimes, kind of obsessively), but the high of seeing a bump in the numbers doesn't last very long and does nothing to sustain me through the times when the numbers crash. And really, on the whole, the numbers are going down more often then they are going up because people buy the book less often then they don't buy the book. The pre-order thing is also interesting because some of the retailers, like Amazon, display the "sales rank" of the book, which allows you to get a rough idea of how the book is doing. It's frustrating though, because you only get an approximate idea of how the book is doing. Why only an approximate? Because the "sales" rank doesn't tell you how many copies have been pre-ordered, it just tells you your relative rank in comparison to other books. 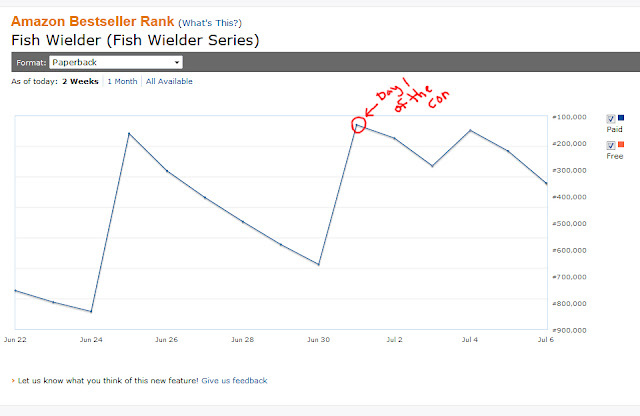 While it's engaging (and sometimes nerve-wracking) to watch your rank go up and down (I can even graph it on Amazon), it still makes it hard to gauge the effectiveness of your promotional efforts. to get people interested and we made a point of telling pretty much everybody that the book was available for preorder. 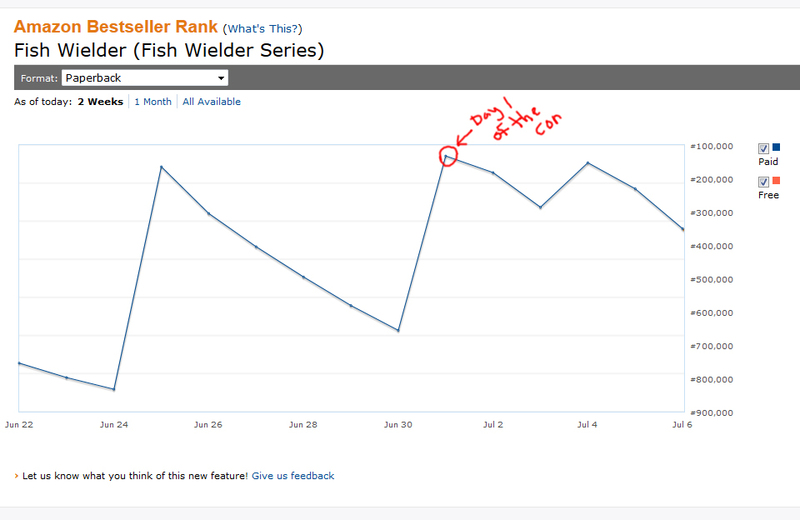 After the con, I checked Fish Wielder's Amazon sales rankings for the paperback and the ebook editions. 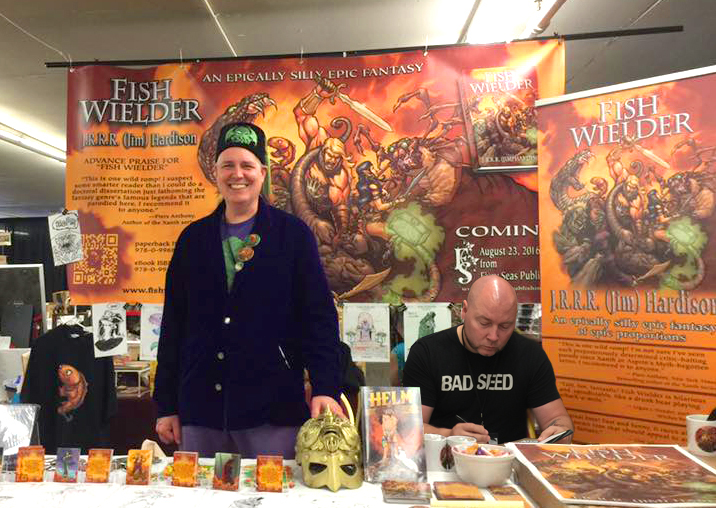 The paperback version of Fish Wielder shows a significant spike on day one of WesterCon! Yay! 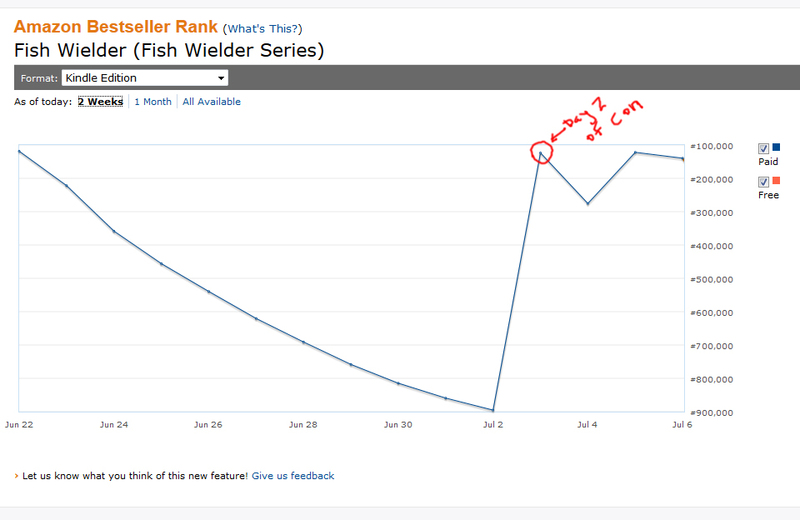 The ebook versions shows a spike on day two! So wow! A big spike on day 2 of the con (apparently, no one wanted an ebook version on day one). The ebook pre-order rank jumped from #900,000 to about #110,000. That seems like a big jump. But again, how many pre-orders does that represent? It's difficult to figure because Amazon is basing the sales rank not just on the number of copies pre-ordered, but also on how many have been ordered over time and how fast/steadily the orders come in. They call this "sales velocity" and, while I'm sure it's useful to them, what it does is makes it really really hard to figure out the number of copies ordered. My publisher will eventually get that data, but not until after the book is released. So, was all the time and effort that went into getting a table at WesterCon, manning if for four days and giving away all kinds of free stuff worth it? That's very difficult to say from a pre-orders perspective. Did our efforts lead to two pre-orders or ten or twenty? I can't say, and that's frustrating and makes me understand why people prefer to put their money and effort into things (like FaceBook advertising) where they can measure their return on investment much more accurately. Pre-order numbers aside, WesterCon (and the other three Cons) have all been great and worthwhile experiences. I've gotten to meet some great people, seen some folks become very enthusiastic about the book, and have made some lasting connections with people who have become supporters of Fish Wielder in an ongoing way. From an investment of time and effort perspective, it has been worth every second I've put into it. 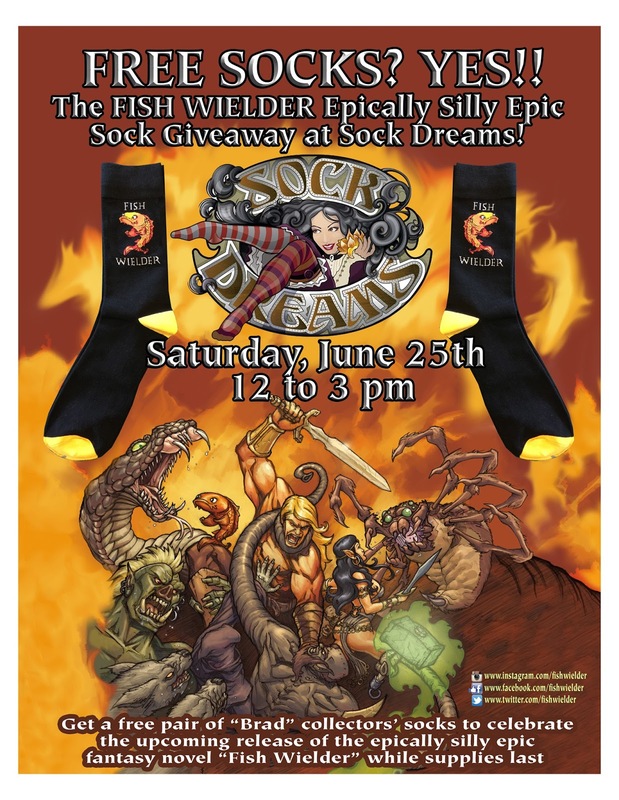 Apart from the con, I also did a sock giveaway event at a local sock shop called Sock Dreams on the 25th of June. 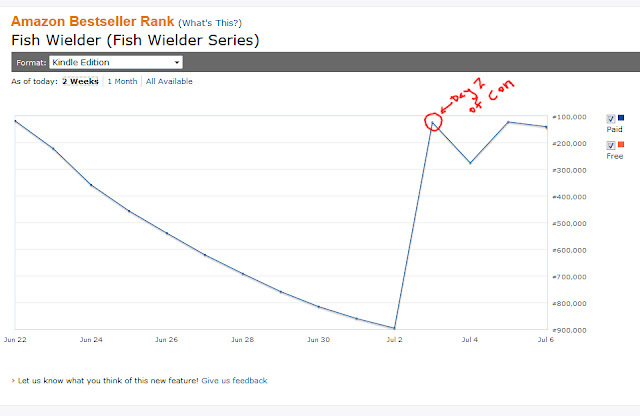 If you go back to the pre-order sales rank graphs, you will see that there were spikes in sales on both graphs on and around that date. I was in the store for roughly three hours and managed to give away about 50 pairs of socks. I worked with a very nice lady named Rae at Sock Dreams, who organized the whole event and did a great job promoting it. Thanks, Rae! "With Fish Wielder, J.R.R.R. (Jim) Hardison has created a unique and hilarious, fast-paced, action-packed tale that pokes fun at, but also lovingly celebrates, the fantasy genre. I have never read anything like it and I enjoyed the hell out of it." Mike is a great writer (you should read his books) and he also runs a museum of oddities in Portland called The Peculiarium. You should visit it if you ever get the chance. Well, that's it for this update. 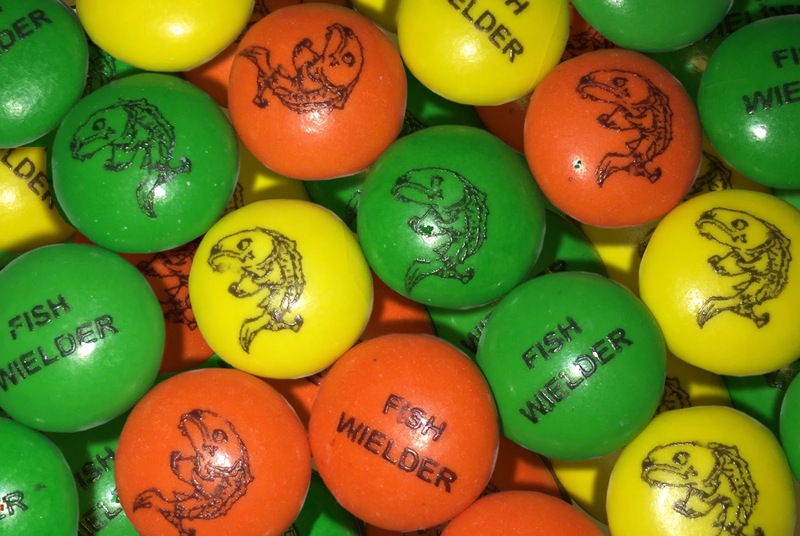 Now that I've got this page running on the Blogger site and I can post to it from my phone and don't have to worry about updating the whole Fish Wielder website to make a change, I hope to post more frequently. That will probably be a good thing, considering that we are getting closer to the actual launch of the book!